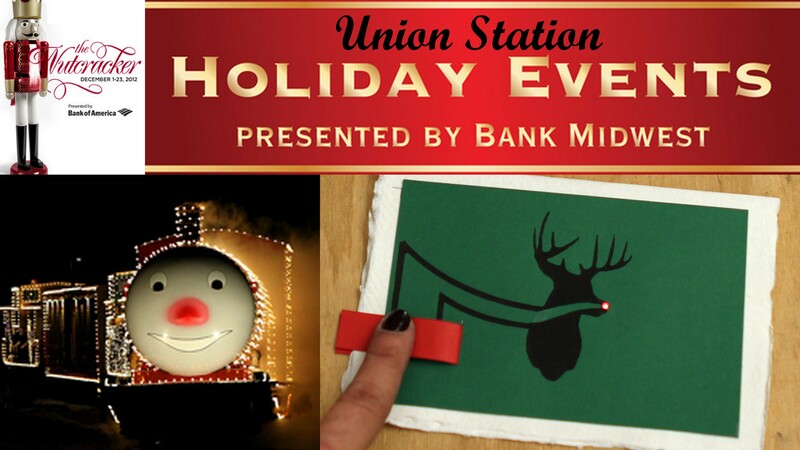 One not-to-miss destination for Kansas City family fun this holiday season is Union Station. Here's a rundown of just a few of the activities they've got for your kiddos this holiday season. And best of all, they're FREE! Back for its 12th annual run, the Kansas City Southern Holiday Express train brings Santa Claus and his elves back to Union Station. The KCS Holiday Express is unlike any other train in the world, with its smiling engine “Rudy”, gingerbread boxcar, flatcar carrying Santa's sleigh, reindeer and a miniature village, snow covered stall filled with model train displays, the elves’ workshop and even a little red caboose. Visit Santa, the train lover way, this holiday season! This is a free event but reservations are suggested. Click here to request tickets today! Todd Bolender’s The Nutcracker is the heart of Kansas City’s holiday season! From noon until 2 pm in the Grand Hall dancers will be at Union Station to talk about the show and let families take pictures with the dancers. Event date: Saturday December 8, 2012 from 12 p.m. to 2 p.m.
Join us Saturday to create a Holiday Greeting card with LEDs! To do this we will use some Bare Paint, a battery, and some surface mount LEDs. Supplies are provided while they last. Adults will be on hand to assist little fingers. It’s a perfect activity for families, give the gift of Making this holiday season! Event date: Two sessions on Saturday December 8, 2012 - 11 a.m. to 12 noon & 1 p.m. to 2 p.m.